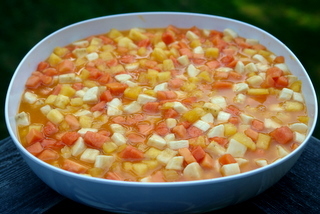 Come y bebe, which literally translates as eat and drink, is an Ecuadorian tropical fruit salad made with papaya, bananas, pineapple and orange juice, the fruit is cut in small pieces and usually has a good amount of orange juice so that you can actually drink it. 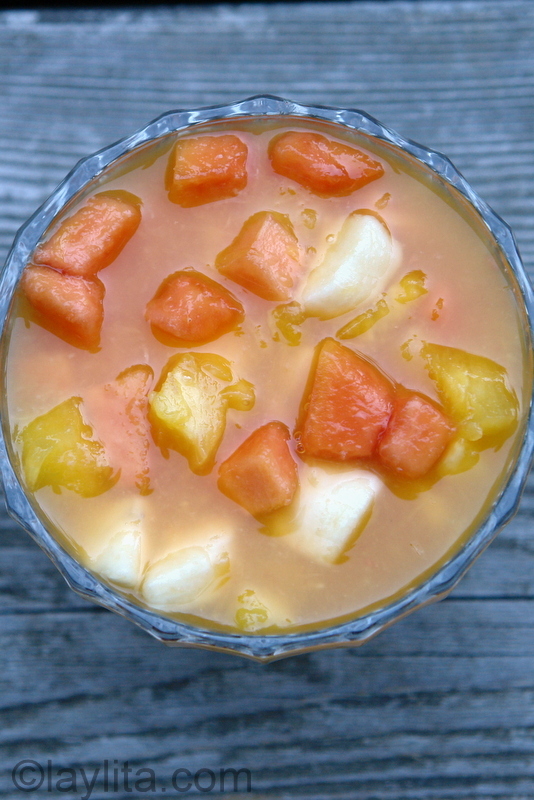 This is a very refreshing drink or dessert for the summer.The most basic –and traditional – come y bebe that I’ve had consisted of just papaya, bananas and orange juice. 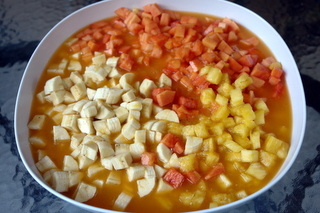 I add the pineapple because that’s the way my mom made it and also because I love that combination of smooth papaya, sweet banana and crunchy tartness of the pineapple. 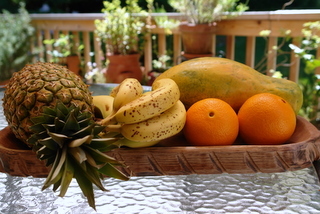 You can also add other types of fruit if you like, mangos are a good option. I didn’t add any sugar or honey this time because the fruit was sweet enough and also I served it with honey whipped cream which gave it a little extra sweetness. To make the honey whipped cream I mixed 2 cups of heavy whipping cream with 4 tbs of honey. 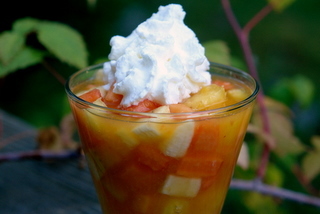 I love the flavor that the honey gives the whipped cream and it compliments fresh fruit just perfectly. 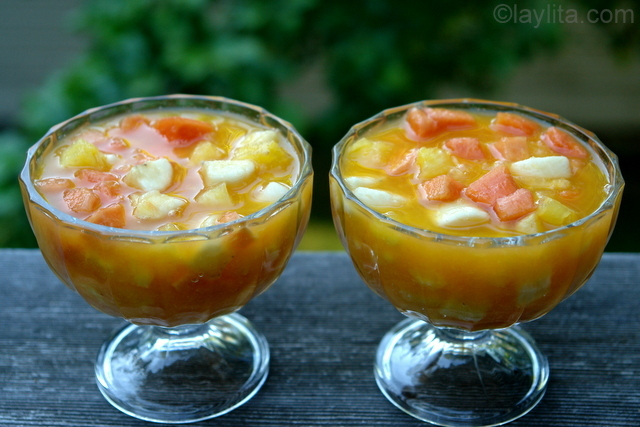 Come y bebe is an Ecuadorian fruit salad. 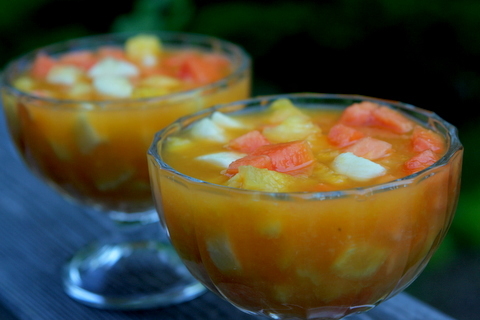 This simple and refreshing tropical fruit salad is made with papaya, pineapple, banana and orange juice. 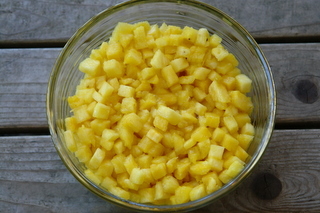 Combine the diced papaya, pineapple and bananas in a large non-reactive bowl. 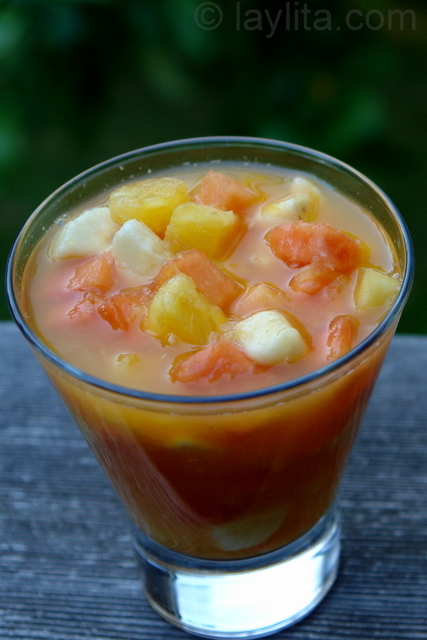 Serve immediately or chill for about 30 minutes if you prefer it very cold (recommended on a hot day). The papaya, pineapple and orange juice can be prepped a few hours in advance, but peel and dice the bananas right before serving to keep them browning.If you want a more drinkable version of this recipe you can increase the amount of orange juice, and I haven’t done this yet – I am very tempted to try it but I feel like I would be corrupting a childhood favorite recipe– you can make this an adult only fruit salad by adding some rum or cachaca (Brazilian sugar cane alcohol). hi Laila, would watermelon instead of papaya also work? 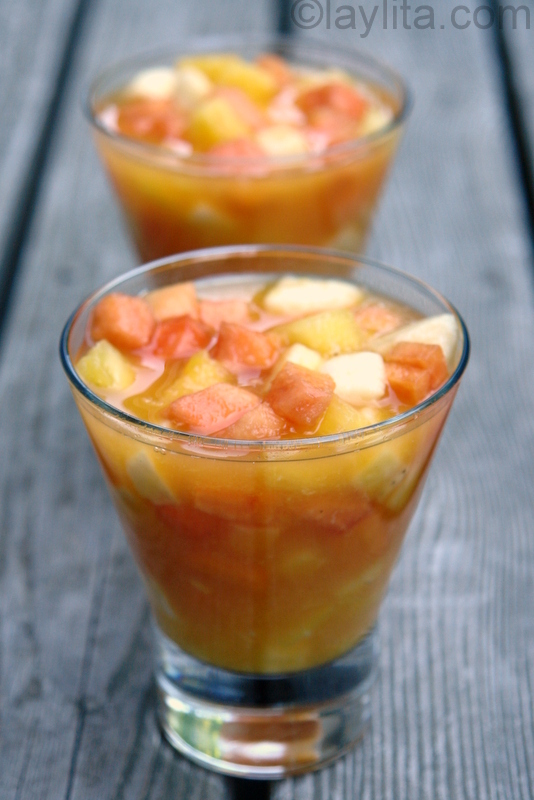 i am making this for my class and was wondering how many cups this recipe makes?? I have about 30 kids and need to know how many of these i need to make… please reply back!! It makes about 10-12 regular sized cups or about 15-18 small (Dixie size) cups, depending on the portion you want to serve you can either double or triple the recipe. 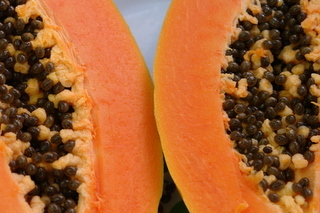 Make sure you use large papayas. Este es uno de mis favoritos.. siempre lo hago,, esto trae muchos recuerdos de mi infancia.. y al igual que Tu, no podria ponerle alcohol danaria mis recuerdos de infancia.. Gracias. OMG.. eso me trae muchos recuerdos.. me voy a tener que preaprar esto ahora mismo. Wow this picture just brought I tear to my eyes. 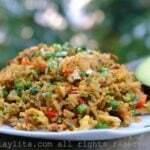 My mom used to make this all the time, my friends would come over and ask me what the hell was that? haha! 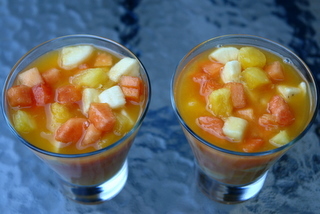 aaww def going to go my moms house this weekend to drink some of my ecuadorian drinks and food! yummy! Thanks for reminding me how awesome our culture is! Awesome!!! 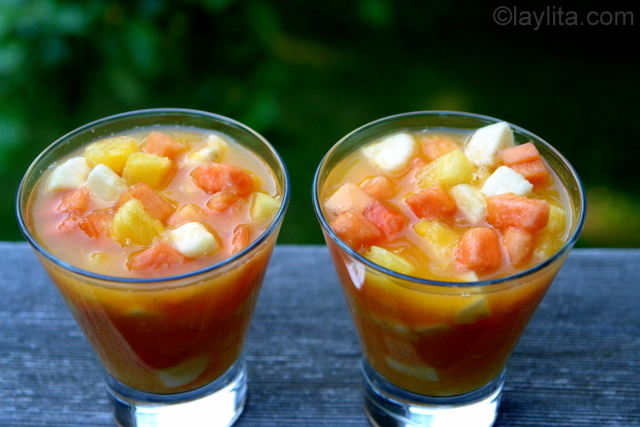 This is a very simple, colorful and refreshing drink. I did not add sugar or honey and it still was sweet enough for my taste. Thank you!!! 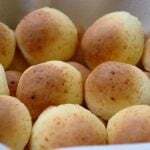 It was so nice easy and tasty … Thanks a lot. you know what? my mother always adds it a llittle bit of vanilla essence and sometimes a little bit of rum… I just love it! Rum? I love the idea! Oh my god – I need to request this one before summer ends from my mom. Oh my god, I want! I can literally comer y beber this ALL day! What a perfectly wonderful drink. So healthy too. I will have to try this one out on my famliy soon. Thank you for some more great recipes. this looks so good!! 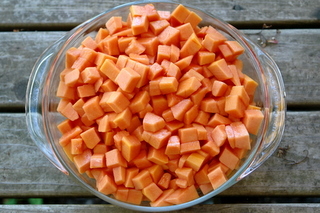 I will be making it as soon as I get some riped papaya! love your blog Laylita, I am so glad I found you! What a wonderful dish. Can’t say it enough, your blog is terrific! I found my way here by doing a Google Food Blog search for ceviche. But after looking at all the recipes on your site, you are hereby BOOKMARKED! Wow. I’m so impressed. You’re a wonderful writer, photographer and cook. Thanks so much for the work you put into this blog. yummmi… you bring so many great memories. Thanks for sharing these wonderful recipies. Your pictures are so descriptive that makes my mouth water. Hoy mismo lo hago en casita. Mil gracias de nuevo. 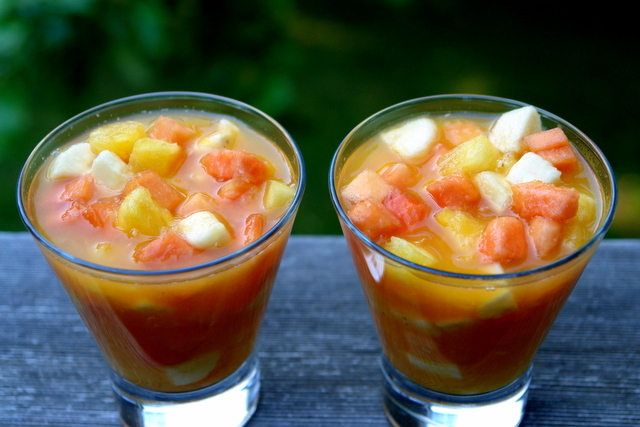 Hi Laylita – I have really been enjoying your site and am planning on trying one of your ceviche recipes this weekend – now I might have to add this come y bebe on my list – it looks perfect for summer! That’s just what I’d need now! Delicious and extremely refreshing!